March tour: Sun 31 March, 2.30pm. Meet: Art Gallery, Mosley Street. 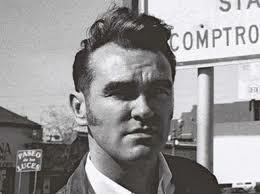 May tour: Moz At 60, Sun 19 May, 2.30pm. Meet: Queen Victoria Statue, Piccadilly Gardens. Yes, he’s a difficult bugger. Yes, he’s a handful. Yes, he makes statements Dave Haslam doesn’t like. Yes, he hasn’t made a decent record since, well, a long time, but as Des Taverner almost once said, he may be a git, but he’s our git. And now he’s 60 we’re still singing “This Charming Man”, “Piccadilly Palare” and “Jack the Ripper” (well, I am). To commemorate the Mozster’s seventh decade, Ed Glinert, who used to play records for Mike Joyce at the Union disco, leads this tour around his old Manc haunts. They were Britain’s greatest ever group, more melodic than the Beatles, more powerful than the Stones, cleverer than the Who, catchier than U2, funnier than Madness and better-looking than Jesus & Mary Chain (okay, not hard). They played music that lifted the soul with words that sharpened the mind. They played both types of music: fast and slow, soft and loud, country and western (??? ), and they came from Manchester. 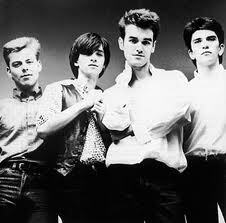 The Smiths’ Manchester walk takes a trip through their haunts and their dark underbelly. Unlike other Smiths’ tours, we don’t shirk from the difficult stories. We explain how the horrendous denouement of the Moors Murderers’ killing spree gave Morrissey the inspiration for the band’s name and affected much of his song-writing. This is a music-driven tour. We play the relevant song at the relevant stop.